June 11, 2014 An American professor and scholar spoke before the House of Commons on Tuesday in a hearing about allegations of MB’s links to terrorism. 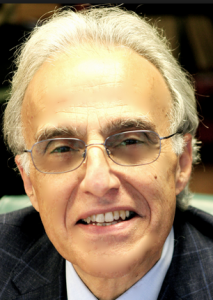 Professor of International affairs and Islamic Studies at Georgetown University Dr John Esposito said that the Muslim Brotherhood has not resorted to violence despite provocation and repression by successive regimes. Esposito stressed that the Brotherhood has been labeled as a terrorist group following the July 3 military coup to justify their repression and the illegitimate hijacking of power by the military. The leaders of the coup have extended their repression to non-Islamist forces such as liberals and revolutionary youth, he added. The American scholar added that the Brotherhood was subject to three unprecedented massacres, as well as another massacre in the form of mass death sentences against Morsi supporters. Dr. John Esposito is a professor of International Affairs and Islamic Studies at Georgetown University. He is also the director of the Prince Alwaleed Bin Talal Center for Muslim-Christian Understanding at Georgetown University. Esposito, a former U.S. State Department advisor, has espoused views consistent with Brotherhood doctrine and during the 1990’s was known for his claims that Islamic fundamentalism was, in fact, democratic and posed no threat to the U.S. Dr. Esposito has at least a dozen past or present affiliations with global Muslim Brotherhood/Hamas organizations including having served on the advisory board of the Institute of Islamic Political Thought in the UK headed by Azzam Tamimi, a leader in the U.K. Muslim Brotherhood and often described as a Hamas spokesman. Dr. Esposito has also served with global Muslim Brotherhood leader Youssef Qaradawi on the Steering Committee of the Circle of Tradition and Progress and enjoyed a close relationship with the United Association For Studies and Research (USAR), part of the U.S. Muslim Brotherhood’s Palestine Committee and part of the Hamas support infrastructure. In 2005, Saudi prince Alaweed bin Talal, a financial supporter of the global Muslim Brotherhood, donated $20 million to the Center for Muslim Christian Understanding at Georgetown, headed by Dr. Esposito.